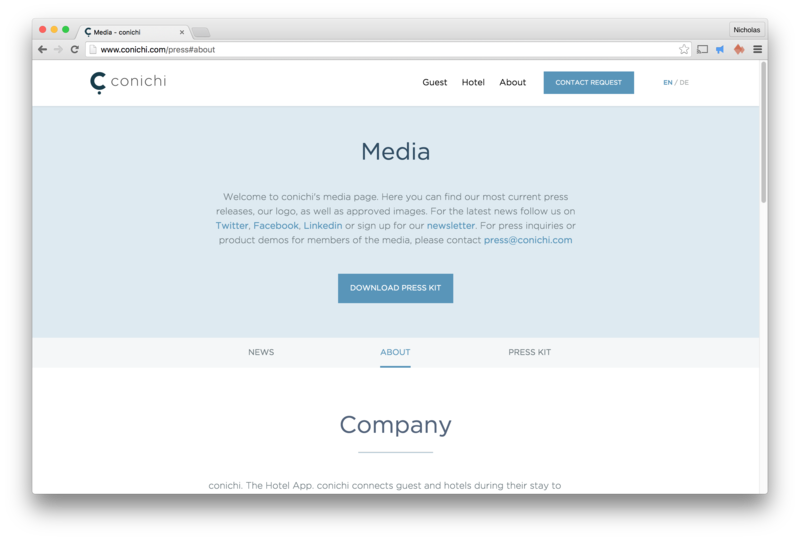 During the past few months, I spent some weeks helping a Berlin start-up named Conichi, creating their responsive website with all the care I usually put in. 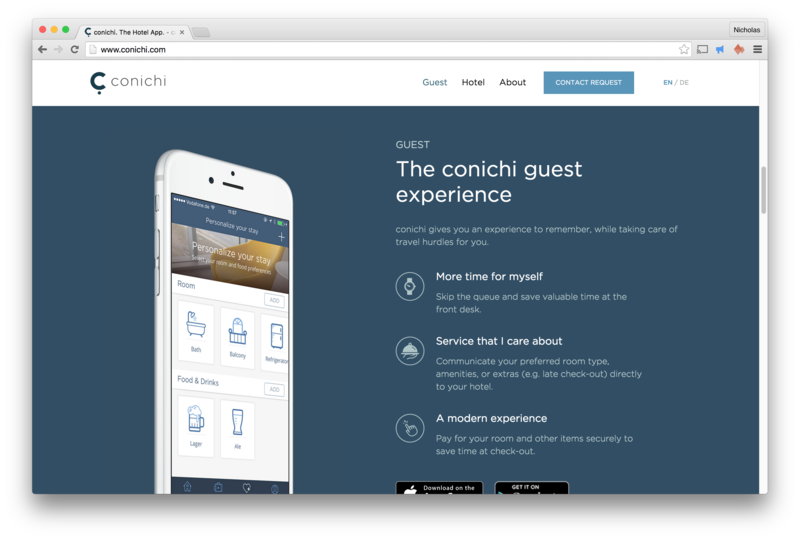 Conichi utilizes beacon technology to automatically recognize incoming guests upon entrance. Such a revolutionary product made possible by new protocols such as LTe Bluetooth and beacons. Every time a guest enters your hotel, their smartphone seamlessly communicates with the conichi beacons, securely sharing predefined guest preferences. Utilizing beacon technology, conichi developed a proprietary software solution that in real-time displays relevant guest information, allowing staff to create memorable experiences. Making the website has been a pleasure and I think I should write a blog post about all the little CSS things I've learned while making it. You can find more details on their website here.